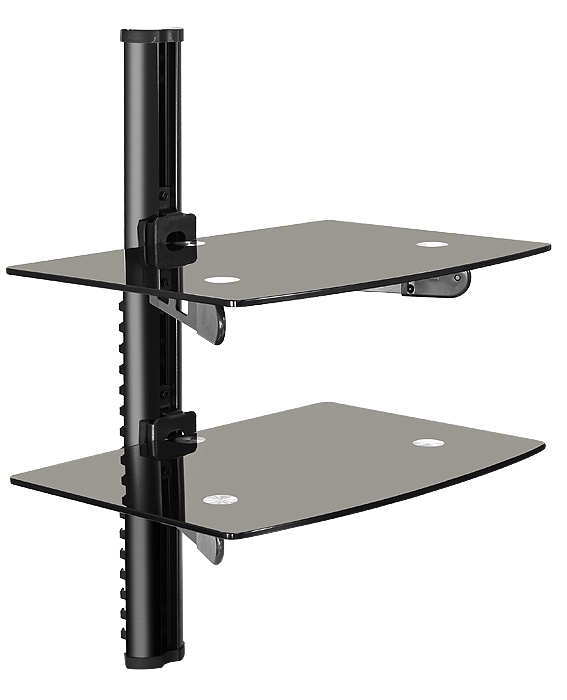 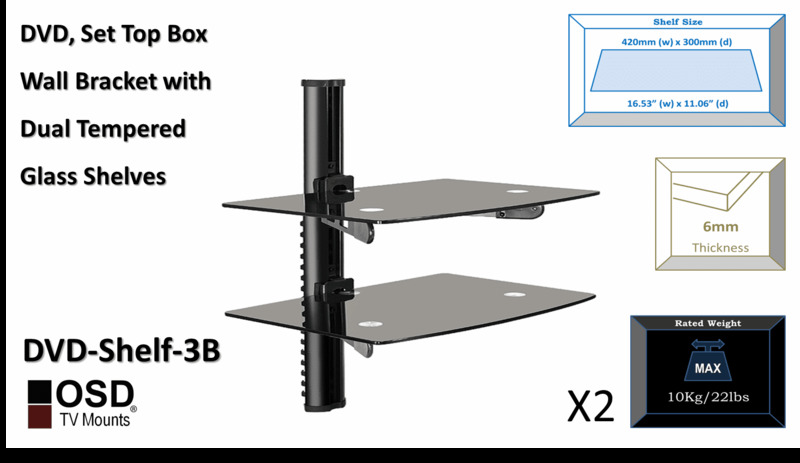 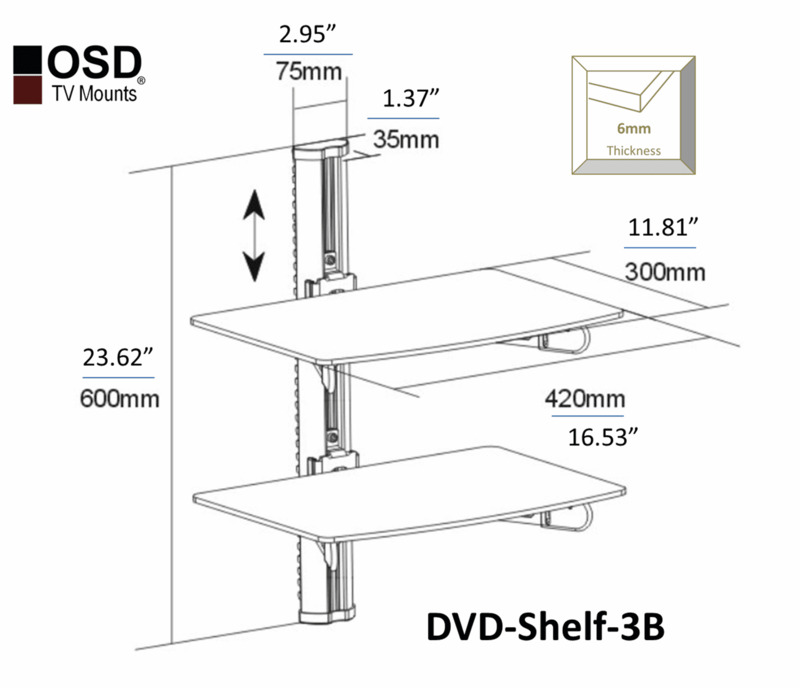 Customers love this simple but sturdy DVD shelf that can support two A/V components. 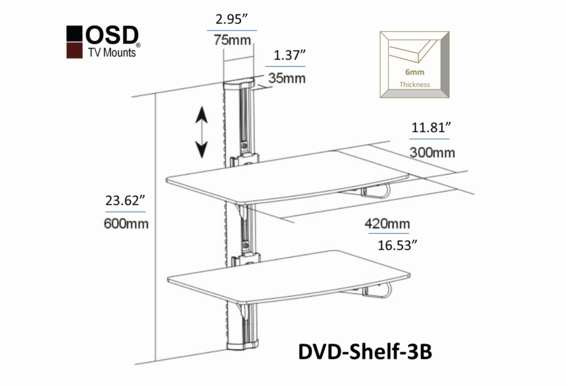 This DVD shelf holds two A/V components. 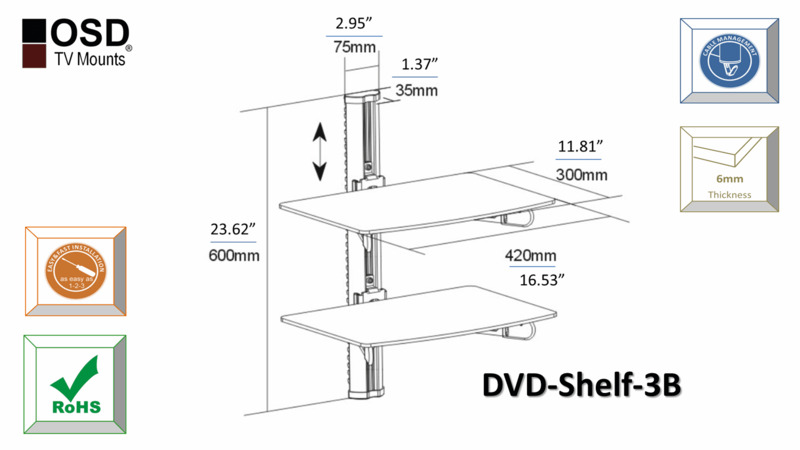 Can the wires from the components run down the center black bar that holds the shelves? 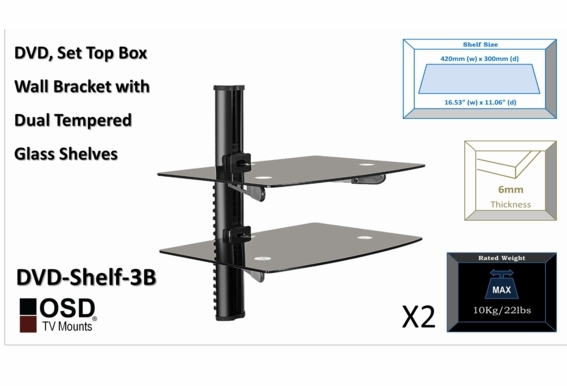 Is there room for some wires? 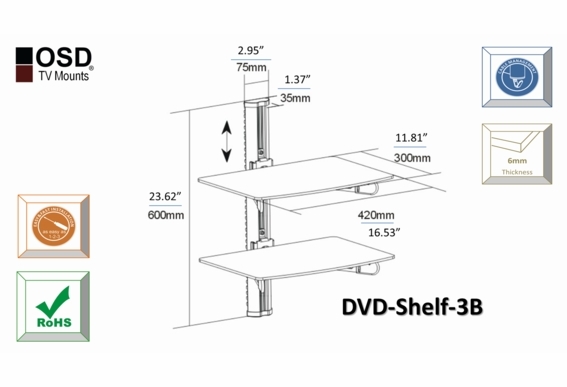 do these shelves mount to the wall or your tv mount? 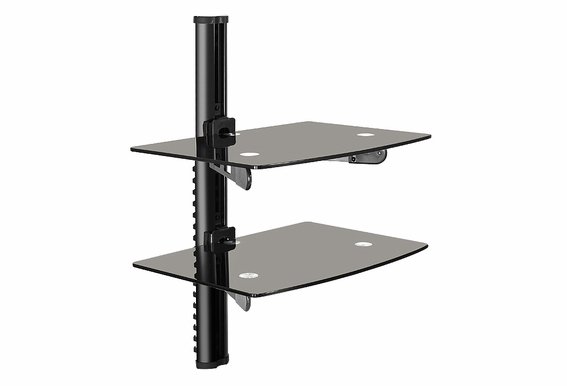 I'm looking to have something affixed to my tv wall mount that moves together as one unit.